Placing in the Top 3 in the swimsuit competition were in random order: Miss Long Island Ashley Hamilton, Miss Staniel Cay Shanice Burrows, and Miss Eleuthera Geena Thompson. The Top 3 finishers in the Top Model competition were in random order: Miss New Providence Andrea Bowleg, Miss Long Island Ashley Hamilton, and Miss Eleuthera Geena Thompson. Receiving Top Honors in the Designer Showcase competition was Myrlande Julien, who created a show stopping two piece ensemble worn by Miss Paradise Island Pischia Adderley. Rounding out the top 3 in the designer showcase was Janet Cooper who created a colorful outfit worn by Miss Bimini Bryneeah Gray, and Kirkwood Deal & Keisha Strachan who created a tailored white suit worn by Miss Long Island Ashley Hamilton. Fans can see highlights of the preliminary competitions on MBO’s Road to the Crown Reality TV Show which airs Tuesdays at 8 p.m. on Our TV. The shows will also be available for viewing in their entirety on Cable Bahamas, Video on Demand. The next events are the float parade and National Dress competition, scheduled for July 16 in Pompey Square, Bay Street; and the Debonaire Boutique Evening Gown Competition and Talent showcase, scheduled for July 17at Sapodilla, West Bay Street. 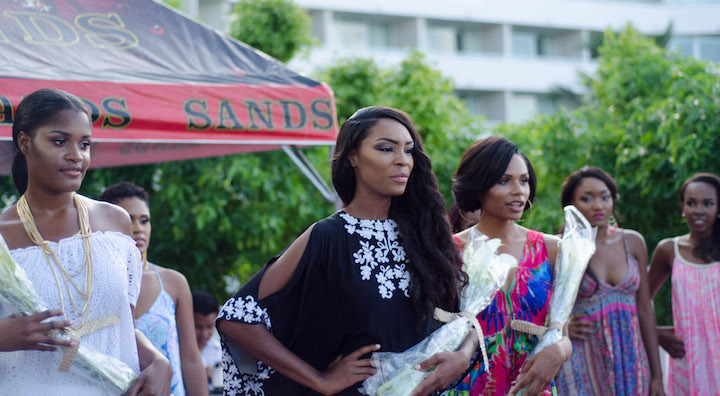 The Miss Bahamas finale is set for July 24 at the Melia Nassau Beach All Inclusive. Tickets are available at Airbrush Junkies in the Mall at Marathon, or from any Miss Bahamas contestant.